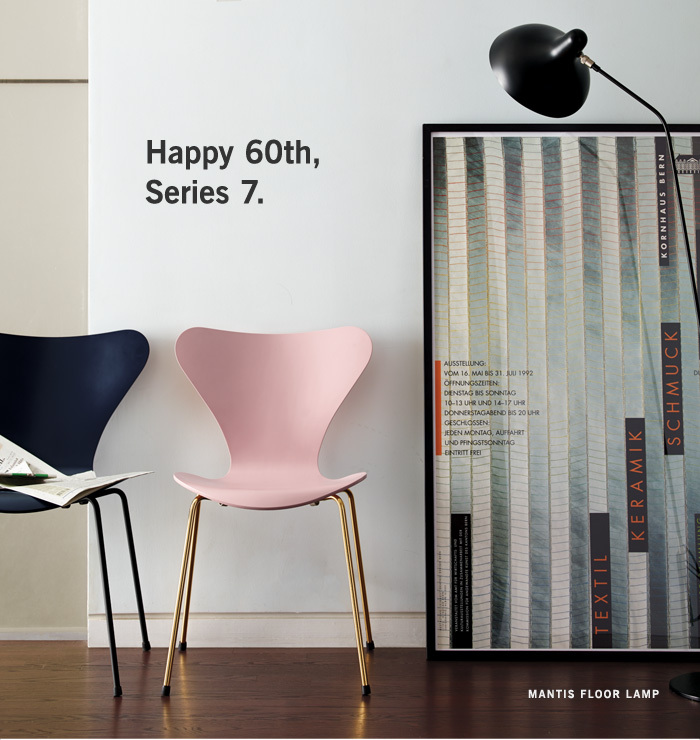 In honor of its 60th anniversary, there are two special editions of Arne Jacobsen’s Series 7 chair available now: pink and gold (!!!) and dark blue and black. We have a knock-off set of six black ones that we use in our dining room, so I probably won’t bite, but that pink one would be a really cool accent piece.